"This woman is incredible, she is so competent, she succeeds to transmit well her information,she is calm, lively, she has a kind and listening ear, and loves what she does." Manon, babywearing consultant. 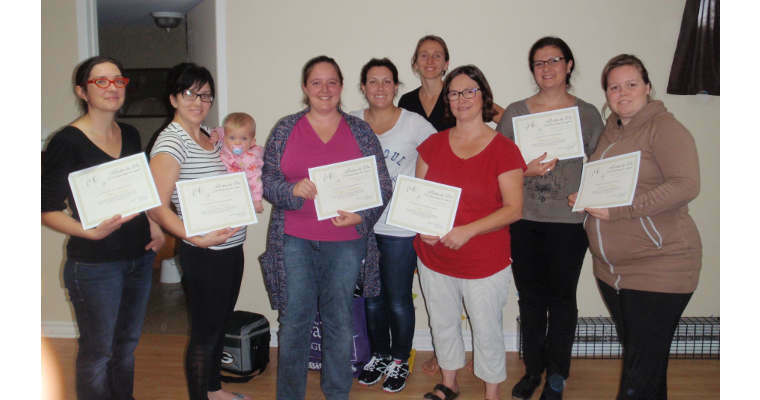 Porter la Vie offers two levels of professional trainings. To guide and recommend adequetly your clients towards choices of baby carriers. 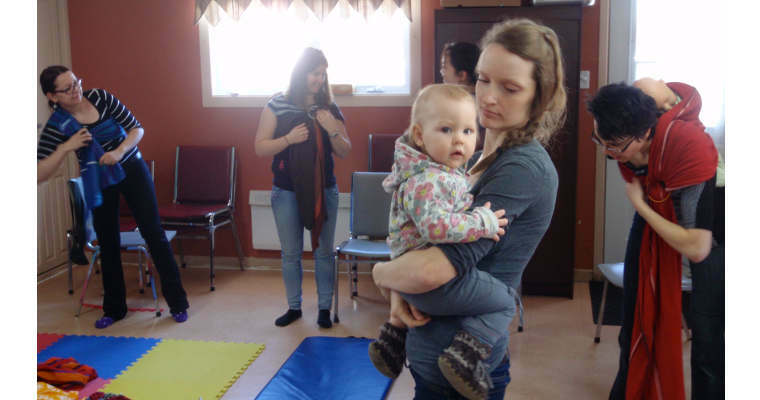 Perfect for prenatal instructor or a health professional that wishes to know the bases of physiological babywearing. 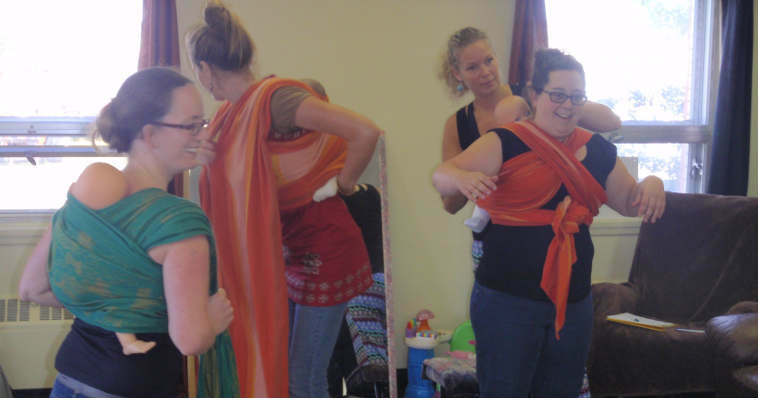 To become a babywearing instructor and host your own workshops, it is highly recommended to follow level 2. 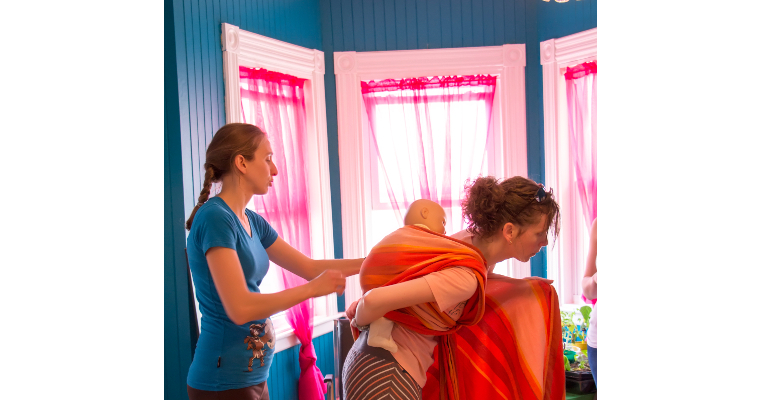 To become a babywearing instructor and host your own workshops in private or in groups. For all wishing to become skilled with all the different types of carriers and be able to guide others. This suplimentary training is focused on the advanced techniques and their training. 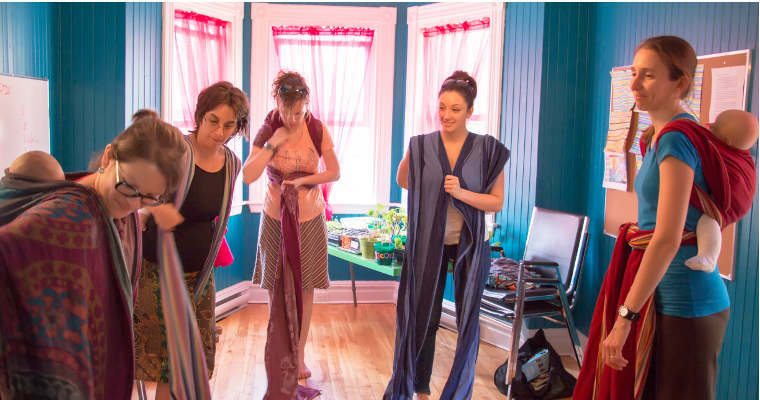 It will also offer you noumerous tricks of the trade to make sure you are prepared for different situations with specific needs such as pregnancy, double wearing, children with particular needs, adapt to parents needs, etc. Contact us to organize a training in your sector for your team or organism! Flexible approach , stamped with simplicity, onenness and respect.